Today safety and security are paramount everywhere people go. Surveillance cameras, also known as CCTV cameras IP, are the most important component in a video surveillance system. Surveillance cameras need to be suited for all environments, purposes and lighting conditions. Cameras come in various types, it is important to select the proper camera for the right application. Chip size for image quality, lens for surveillance field, resolution for image quality, connectivity methods, fixed or PTZ for visual coverage, installation type, environment of use, shape of camera, light sensitivity, appearance of the cameras and many other factors determine the types of cameras. 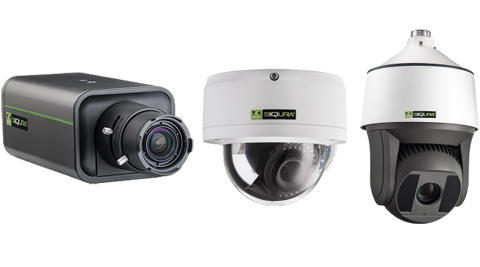 Traditionally analogue cameras have been used for most installations, but now the IP cameras are becoming more popular due to many advantages they offer.